Legal sports betting finally made its way down the Mississippi River and docked at what could become the center for gambling on sports in the southern United States. On Wednesday, August 1, 2018, at 12 p.m. Central Time, two MGM-owned properties, the Beau Rivage Resort & Casino in Biloxi and the Gold Strike Casino Resort in Tunica, began accepting legal wagers on sports, coinciding with the 26th anniversary of Mississippi’s first casino opening in 1992. To commemorate the historic event, former NFL Pro Bowl running back Willis McGahee, former Louisiana State Tigers and NFL tight end Robert Royal, famous oddsmaker Danny Sheridan, and Mississippi Hotel and Hospitality Association Executive Director and former director of the Mississippi Gaming Commission Larry Gregory placed the first bets simultaneously at the Beau Rivage, and the public was allowed to place sports bets immediately after. Mississippi’s sports betting regulations took effect on July 21, making Mississippi the third state, following Delaware and New Jersey, to launch sports betting operations after the Professional and Amateur Sports Protection Act (PASPA) was ruled unconstitutional by the U.S. Supreme Court on May 14, 2018. Mississippi changed its laws in 2017 by passing a new bill legalizing and regulating fantasy sports, which also eliminated the prohibition on placing wagers on sporting events. 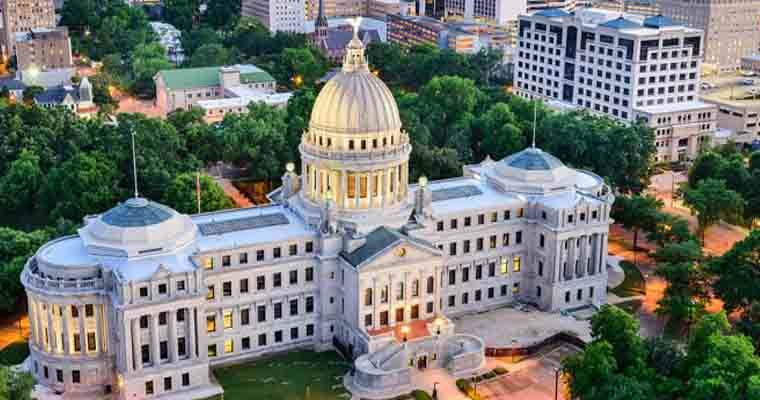 After the 2017 bill was passed, some Mississippi lawmakers seemed to be unaware they voted to approve the legalization of sports betting with the new fantasy sports law. Some lawmakers tried to reinstate the ban but failed to pass this year. With the repeal of PASPA, all 50 states are now free to draft legislation and allow legal sports betting if they choose, and Mississippi, who already passed laws regarding sports betting, became the first state in the southern U.S. to allow legal sports betting. The Mississippi Gaming Commission voted on Thursday, June 21, 2018, to adopt regulations to provide oversight on sports betting at casinos in the state. After drafting the regulations and being put up for public review, the new rules took effect 30 days later on July 21. Residents of Mississippi and tourists will be able to place sports bets on at licensed casinos. Bettors can place wagers via mobile device but must remain onsite at the casino or hotel. All traditional sporting events, both professional and collegiate level, are eligible for betting. According to the bill, casinos have to withhold 25% of winnings exceeding $5,000 and winnings that are at least 300 times for federal income tax, and the state has a 12% tax gaming revenue where 8% goes to the state government and 4% goes to local governments. Mississippi is currently home to 31 casinos, and many are hoping to have sports betting available by the start of the Southeastern Conference college football schedule on September 1 and the opening kickoff to 2018 NFL regular season opener on September 6. In addition to the two MGM properties who opened their sportsbooks today, the IP Casino in Biloxi and Sam’s Town in Tunica, two Boyd Gaming properties, are currently seeking approval from the Mississippi Gaming Commission and hope to allow sports betting in the next few days. Representatives of all 12 Coast Casinos plan offer sports betting at most, if not all, of their casinos before the start of the NFL regular season, according to the Sun Herald. Caesars Entertainment also announced plans to open sportsbooks in the middle of August for both the Harrah’s Gulf Coast Casino in Biloxi and Horseshoe Tunica through a collaboration with Scientific Games, according to the Associated Press. Mississippi is currently the only state in the South to have passed sports betting legislation, and the Magnolia State is expected to see a huge influx of tourism and tax dollars due to the popularity of football, the most bet on sport in the U.S. by a large margin. Mississippi is home to two big-time SEC college football schools, Mississippi State and Ole Miss, so betting on college football is likely to be popular choice. Football fans often place friendly wagers on games all the time, but now, in Mississippi at least, they can finally do it legally and just in time for football season.